The New York Open, held annually in February, moved to its new home on Long Island, NY in 2018, as a replacement for an ATP 250 event previously held in Memphis, TN. Known for its striking black courts and attracting top American talent, this event is the only indoor ATP event in the country and should not be missed! Qualifying Rounds will take place on February 10 and 11. Tickets start at $20.00 per day. For the main draw, tickets are sold in separate day and night sessions. Prices start at $20 and max out at $105. Quarters, Semis, and Finals have affordable upper-level tickets starting at $30. The best seats in the house go for about $205. This tournament is a real treat for tennis fans, because access to late round matches for such an affordable price is rare. 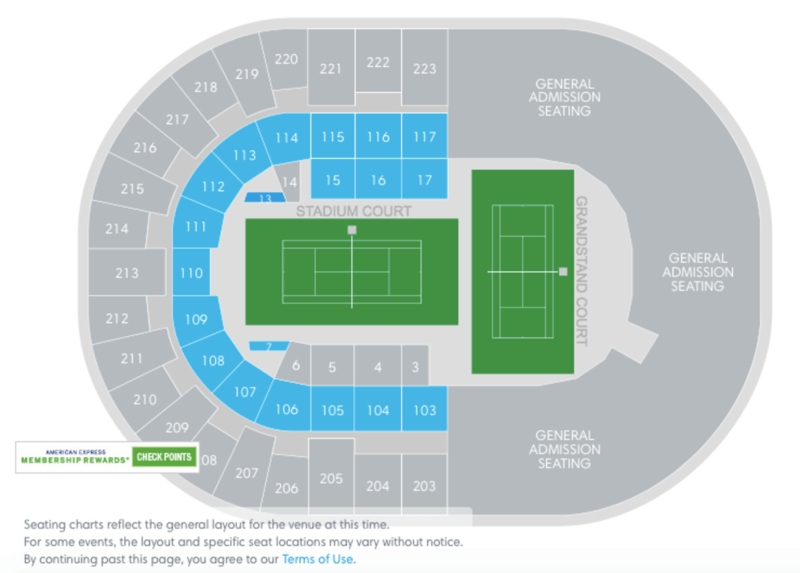 You will still get a decent view of great tennis from the well-priced upper section. However, the best seats in the house are certainly sections 3 through 17. These seats put you right up close to the action. While this area may not have the hustle and bustle of Manhattan, it is a haven for diehard tennis fans. With a huge selection of comfortable hotels that are extremely convenient to the New York Open venue, NYCB LIVE, home of the Nassau Veterans Memorial Coliseum, it is a perfect place to easily watch a ton of tennis without breaking the bank on hotel. Long Island Marriott – There may never be a hotel that is more convenient to a venue than this. Literally 500 feet from the Nassau Veterans Memorial Coliseum, this is an affordable option with a perfect location for watching as much tennis as possible. It is also the official tournament hotel, so you be may staying amongst the players! Hilton Garden Inn Westbury – Modern, clean, and comfortable, this hotel located just a few miles from the venue offers a spacious setting to relax. Perfect for families, rooms have plush beds, microwaves, tvs, fridges, and a sitting area. Homewood Suites by Hilton Carle Place/Westbury, NY – What is better than a place where every room is a suite? Free breakfast, free wifi, free parking, a kitchenette with a full fridge, this hotel is has everything you need to make you feel at home. The Vanderbilt Hotel Suites – If you are looking for a luxurious hotel stay, try The Vanderbilt Hotel Suites. Brand new, this hotel has high rooms equipped with everything you could need, a large gym, a beautiful outdoor pool, and a great bar/restaurant. La Quinta Inn & Suites Garden City – Just a mile and a half from the venue, this hotel is a great budget option, but still offers plenty of fantastic offerings. Large rooms, free wifi, free breakfast, and a bevy of amenities will make this a very comfortable stay. Econo Lodge Hicksville – To visit the New York Open without breaking the bank, this hotel is available for less than $100/night. A basic but comfortable stay, these standard rooms include free wifi, breakfast, and are perfectly comfortable with minimal frills throughout the hotel. After an 18-month, $180 million renovation, Nassau Veterans Memorial Coliseum is bigger and better than ever. Home to concerts and several sports teams, the Coliseum can seat as many as 15,000 people depending on the event. With the venue’s transformation comes a bold design that pays tribute to the look and feel of Long Island. Guests can also enjoy a vast array of new restaurants, all-new seating, free wifi, and beautiful new LED lights and scoreboards. The New York Open offers 4 tiers of seating. These range from Upper Level Seats all the way to the VIP Level seats. Whether you are strictly here for tennis, or want a luxury experience, The New York Open is here to serve! Nassau Veterans Memorial Coliseum makes driving to the New York Open extremely easy. No need to worry about finding parking, as this venue is surrounded by a large parking lot. Parking lot passes can be purchased on ticketmaster.com in addition to your event ticket. Advance online pre-paid parking tickets are always $20 or less. Uber is also an option as the venue has a designated pick up and drop off area for ride share partners. If public transportation is more your speed, take the Long Island Rail Road to the Hempstead train station, then walk one block to the Hempstead Bus Terminal. Take either the N70, N71, or N72 bus, which will drop you off on Hempstead Turnpike opposite NYCB LIVE. The New York Open is rare in that it is located near two major international airports. John F. Kennedy International Airport (JFK) and LaGuardia Airport (LGA) are both about a 30 minute drive (depending on traffic) from Nassau Veterans Memorial Coliseum. A taxi or Uber will cost you anywhere from $50 to $100 depending on the time of day and how busy it is. See our guide to all NYC Airports. John F. Kennedy International Airport (JFK) and LaGuardia Airport (LGA) are both about a 30 minute drive without traffic from Nassau Veterans Memorial Coliseum. FlightHub is our favorite site to search for cheap flights to anywhere. 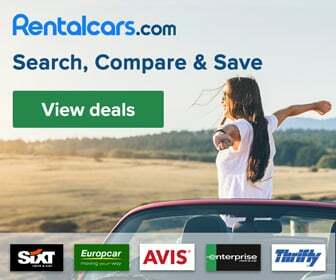 They have amazing customer service and their search results allow you to narrow down by dozens of options, including airline, # stops, etc, as well as sign up for fare alerts. Sometimes, waiting a few days or a week may make a huge difference in airfare prices. Check the cheapest flight options at FlightHub.